If you suffer with arthritis, you know how bad you can feel most days. Living with the chronic joint pain and stiffness associated with arthritis negatively impacts the quality of your life. Most people living with arthritis take NSAIDS (non-steroidal anti-inflammatory drugs) such as ibuprofen, acetaminophen or a prescription medication to alleviate pain and stiffness. While NSAIDS can absolutely bring some relief to patients, they usually do so at a cost. Over the counter NSAIDS are really intended for short-term use. If you read the back of the bottle of Advil or Tylenol, you’ll see it most likely says something to the effect of “Never use for more than 10 days without checking with your doctor.” This is because using NSAIDs long-term comes with some serious health risks such as stomach bleed, liver damage, and an increased risk of heart attack and stroke. I don’t know about you, but that hardly seems like the best option for relieving arthritis pain and stiffness. Surely there must be a safer alternative. Your doctor has most likely told you that exercise is important in fighting arthritis pain and inflammation. They also probably told you to choose exercises that were gentle on your joints and would help improve flexibility. Well, yoga ticks both those boxes. Yoga is an ancient Indian practice meant to unite the mind, body and spirit. In fact, yoga is a Sanskrit word that means “to unite.” In the West, many people engage in a yoga practice because it helps them tone muscles (especially core muscles) to stay strong and also to remain flexible. When it comes to fighting the pain and stiffness of arthritis, you can’t choose a better exercise than yoga. In fact, studies have shown yoga’s effectiveness at improving a person’s overall quality of life. The National Institute of Health (NIH) has classified yoga as complimentary and alternative medicine, making it a perfect companion treatment for arthritis. A study out of the University of Pennsylvania showed that performing yoga once a week for 8 weeks significantly reduced pain and stiffness in patients with knee arthritis. Other studies have found that yoga is an excellent pain reliever and also improved mood. By practicing yoga just once a week for 8 weeks, you can experience a significant reduction in pain and stiffness as well as an increased sense of well-being. Imagine if you practiced it twice a week! Heart disease is a risk factor for those with osteoarthritis and rheumatic arthritis. Yoga exercises improve blood circulation and increase the biosynthesis of red blood cells and hemoglobin. It also reduces the risk of high blood pressure and type 2 diabetes, all of which can lead to heart disease. Having extra weight on your body puts extra pressure on your joints, especially your knee joints. According to a longitudinal study, obese women were four times more likely to develop osteoarthritis as compared to non-obese women. Yoga is a great exercise for helping obese people lose weight. Unlike other forms of exercise, which can be hard on joints, yoga is gentle but highly-effective. Yoga also improves metabolic activities and decreases glucose absorption, two other keys to weight loss. Accidents and sports-related injuries have been shown to contribute to the development of arthritis. When these injuries do not heal fully or properly, it can lead to further joint degradation. This degradation, over time, causes the release of inflammatory cytokines. Yoga has been shown to help joints recover from injuries. In addition, yoga can also help detoxify the body of toxins such as urate crystals, that lead to painful gout. 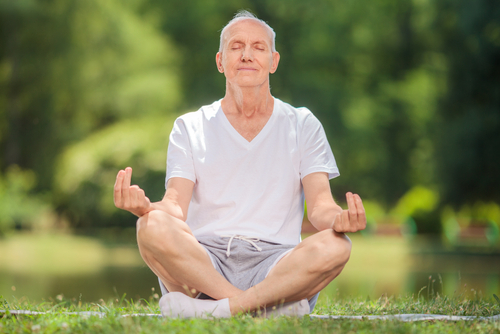 Many studies on the benefits of yoga have been conducted on individuals with osteoarthritis. But studies have found that yoga can also help those suffering from rheumatoid arthritis. One such study found that 12 sessions of yoga can significantly improve Rheumatoid arthritis parameters. Even better, these improvements increase as the duration of practice increases. A pilot study found that yoga can significantly decrease disability index in rheumatoid arthritis patients, which leads to a decreased perception of pain and an improvement in balance. Is One form of Yoga Better for Arthritis? If you’re new to yoga, you will learn that there are different styles of yoga. It’s a bit like saying someone should do aerobic exercises, but which ones: biking, hiking, running, etc. Generally speaking, “Hath Yoga” is the form of yoga that has been found to be best for patients with arthritis. This style of yoga combines yoga poses with breathing techniques. If you are interested in beginning yoga, it’s a good idea to take a class as opposed to watching a video online – at least in the beginning. A qualified yoga instructor can help ensure you are doing the poses correctly and don’t injure yourself. Unless you live in a very small town, there is most likely a yoga studio in your area or very close by. Look online and find one that offers Hath yoga so you can begin to lose your arthritis pain and stiffness. Would you like to learn other natural ways you can alleviate your arthritis pain and stiffness once and for all? Then I encourage you to pick up a copy of The Joint Pain Solution. 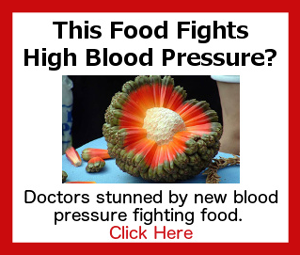 In it you’ll discover the exact steps one doctor used to completely cure himself and countless patients of joint pain. Access The Joint Pain Solution right now.